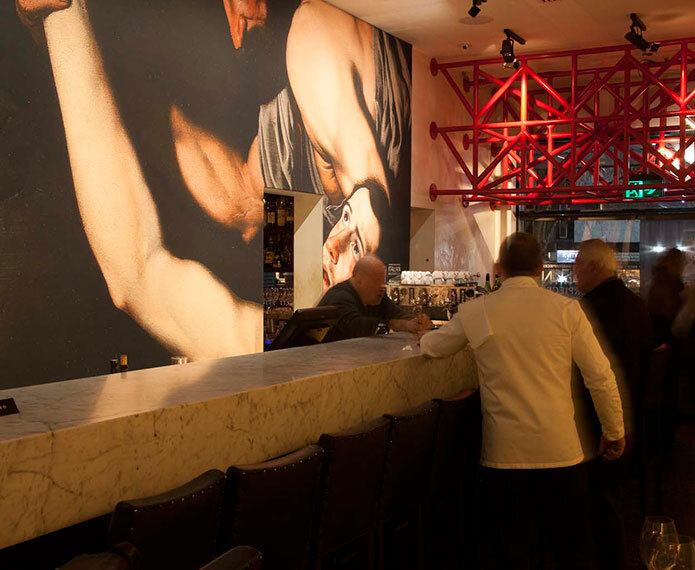 The premier party at Bar Di Stasio in celebration of the Italian Masterpieces exhibition at NGV. 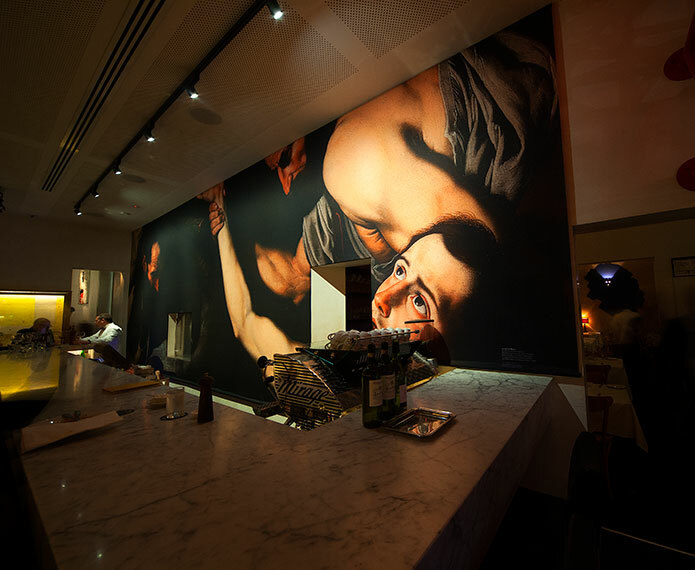 In celebration of Italian Masterpieces, renowned Melbourne restaurateur and patron of the arts, Ronnie Di Stasio, has installed a larger than life representation of an artwork being featured at this exhibition in one of his iconic venues, Bar Di Stasio. 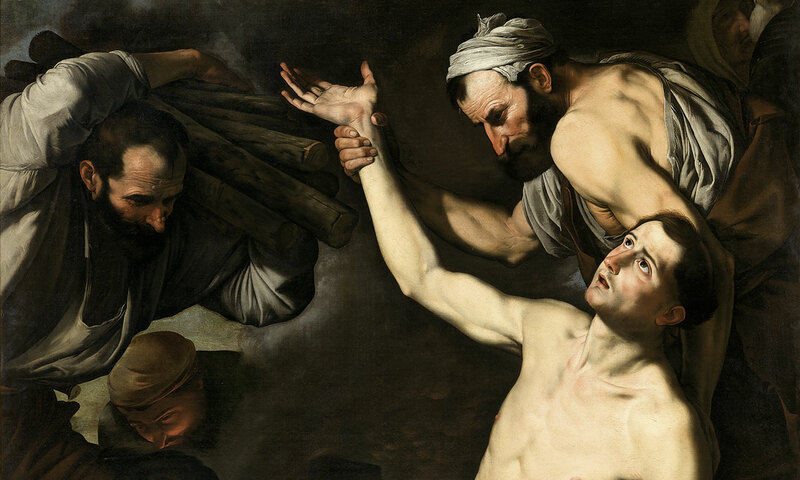 Ronnie has chosen to display a print of an artwork titled Martyrdom of Saint Lawrence by Spanish artist Jusepe de Ribera, who had spent time living and working in Italy. 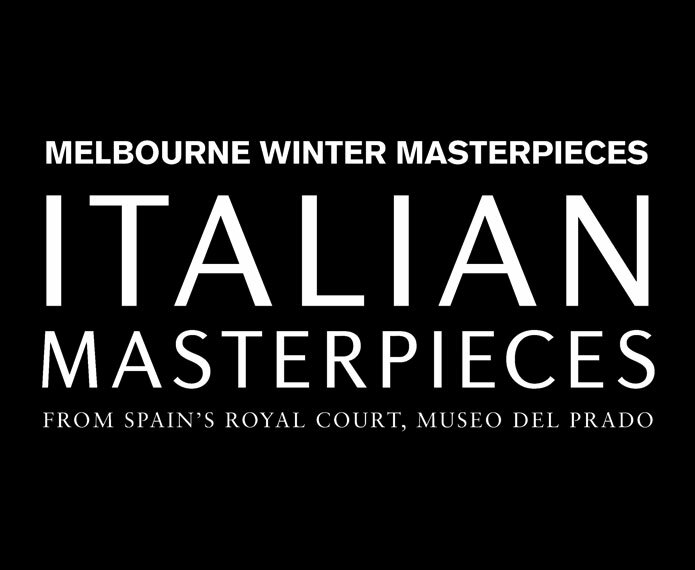 Owned by NGV, the original oil on canvas was completed between 1620 and 1624, and measures over 2 metres wide.